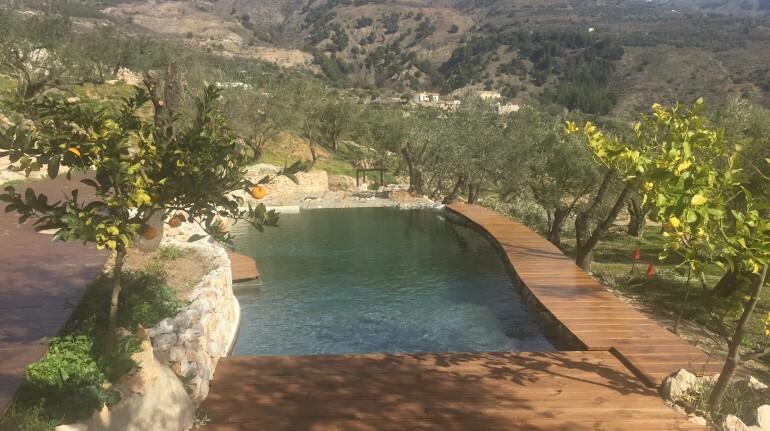 I rent out 3 en-suite bedrooms together or individually on this private eco property on the Sierra Nevada mountains in the Alpujarra, Spain. 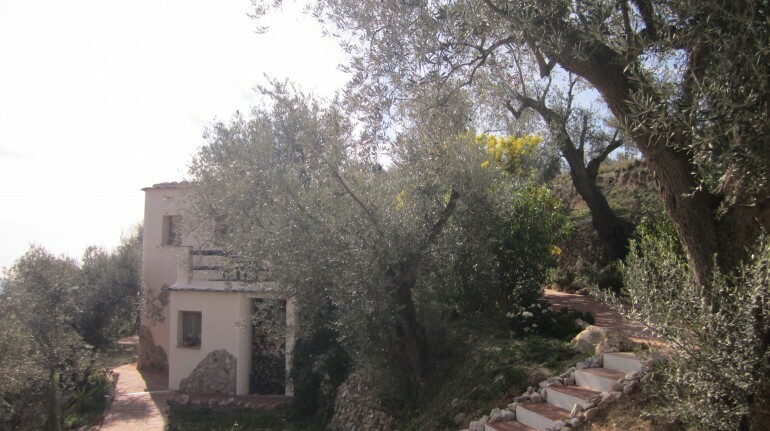 They open up onto a quiet shady terrace in an olive grove with access to an organic natural swimming pool. The house is just 2 kilometres above the spa town of Lanjaron in in the Alpujarra which is an area of Andalousia on the southern slopes of the Sierra Nevada mountains in Spain. It is a dry climate, with various trees, making it quite green. It is at the end of a small private road. There are 3 separate rooms to rent, 2 larger double with wood fire burners (for the winter months) and space for either a child or baby, the 3rd room is a double. Each has its own entrance from the shaded terrace with magnificent views over the town, mountains and down to the sea, they also have their own en-suite shower room. The property is completely 'Off Grid', making its own electricity with solar panels and a solar hot water system. But, there is internet! 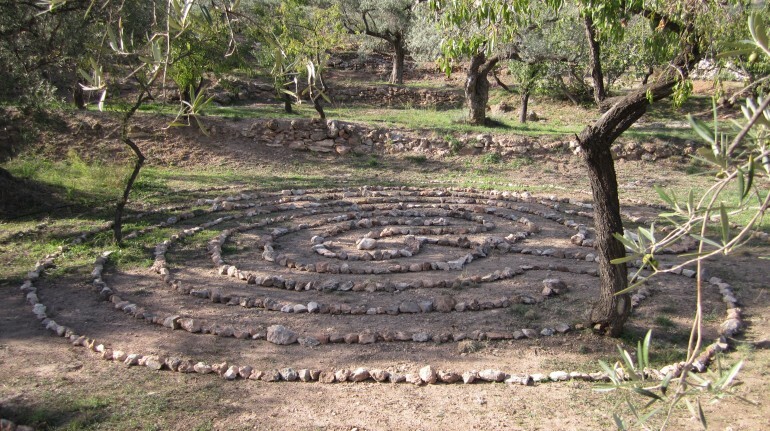 It is situated in an olive grove and also has almond, orange, and lemon trees. 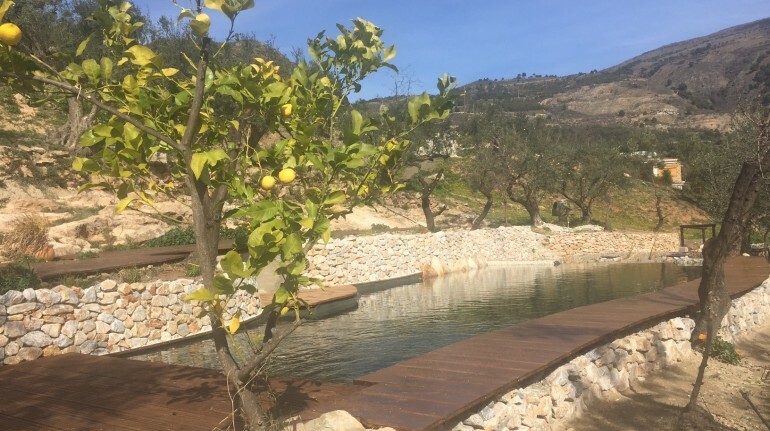 There is an organic natural pool, 2 terraces below the rooms, which uses only gravel and plants to filter the water, it is run on a solar pump, the water is straight from the ancient Moorish acequia (which runs through the property), it has built up its own eco-system, so it is shared with dragonflies and frogs in the summer months. Because of this, only organic suntan lotion is allowed, if, it is left to dry before going into the water. A healthy vegetarian breakfast is included in the price, I can also cater for gluten or dairy free diets. Vegetarian evening meals can be ordered ahead of time, otherwise you can picnic on the terrace under the stars. There are plenty of spaces to relax, enjoy and contemplate the views and peacefulness around the property. This is only for people who want to experience 'Life Off Grid', love to watch the birds sing and fly around, the grasshoppers and of course the frogs. 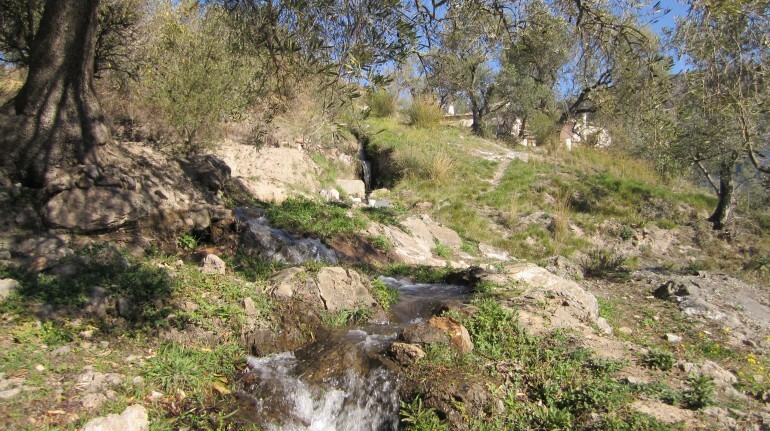 I will send everyone detailed instructions on how to find the property, from Lanjaron, but for those coming by bus, I will need to pick you up from town as it is about a 30 minute walk up hill!